- The world has grown so large, so quickly, and so diffusely, many Residents have never even heard of New World Notes, let alone read it. - Judging by my page views, New World Notes is read by just a relatively small subsection of total Residents-- and more often, I'm just as fairly sure, by non-Residents. - To build up my readership within the very community NWN is designed to serve, I needed to advertise in-world. - User-created content and services have become so sophisticated, it might be better if I hire Residents to promote NWN, rather than asking for help from the company I actually work for. Understand, none of this is meant as whining. ("But, but, don't they know who I am?") More than anything, the snowball growth of Second Life has begun to make it difficult for me to keep pace with the society, and the way its evolving. So, time to start advertising with a Resident-run agency. I was finally convinced to do this by reading an outside media story-- and that, again, is a sign of a shift in the making. The Hamlet Linden ad campaign starts next week, and runs for a month. I'll be keeping a close eye on my page views to see if the ads have any effect on them-- and just as key, whether it rebuilds awareness of NWN in-world. If it doesn't, I'll try out other in-world advertisers, searching like any other publisher for an audience's elusive attention. But it'd be easier to read if the font was more exciting (looks kinda generic) and if it had a black outline or glow around the edges, because the yellow itself is hard for me to read. I hate to rain on your parade, but how are you "like any other publisher," Mr. Linden? Because, Tony, in the context of vying for *in-world* attention from Second Life's greatly expanded population, I'm more or less working on the same level as you and any other SL blogger. In this, I'm going on the realization that a large part of the SL population rarely if ever visit the SL website (where, in any case, NWN is only represented by a few links.) So I took out an ad with MetaAdverse, to see if that would expand readership in-world, and will try campaigns out with other advertisers, as appropriate. (In that regard, it's also a concrete way of reporting on the effectiveness of in-world ads for web-based SL-related products.) 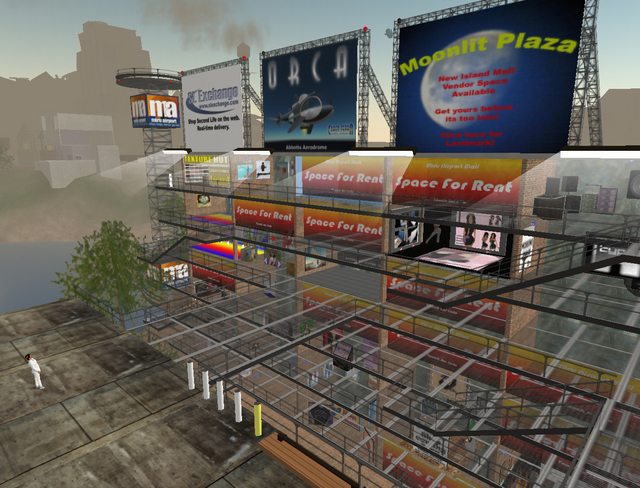 But you can also advertise Clickable Culture in SL, just as any other SL blogger can. Quite a bit different than, say, getting LL to add a "Read New World Notes" button on the viewer which launches a web browser and takes you directly to NWN. Now *that'd* be pushing it. Tried to make the ad fancier, Torley, but my Photoshop skillz is nil. Ham, you should hire me do make your ads. >But you can also advertise Clickable Culture in SL, just as any other SL blogger can. Well, sure. But I can't produce Linden Dollars out of thin air like you can. The fact is that your virtual resources are theoretically unlimited, unlike any SL blogger. >Quite a bit different than, say, getting LL to add a "Read New World Notes" button on the viewer which launches a web browser and takes you directly to NWN. Now *that'd* be pushing it. Actually, I'd be happy to see that sort of placement, and there's no reason why New World Notes shouldn't be a tab or link in the SL interface, as Torley has suggested. NWN is the official blog of Second Life, and raising its profile by integrating it into SL sounds like the most straightforward way to drive traffic here. > report on Second Life. > unlike any SL blogger. Actually, there's like six more Linden-run blogs related to SL, so I don't consider mine *the* "official" one. I'm LL's in-world journalist, yes, but my goal has never been to write the one official chronicle of SL. New World Notes is just the official blog of New World Notes. People are always looking for videos made in Second Life so I propose that you and/or have someone do a 15 sec. commercial spot like a Action News Team spoof of Hamlet Linden in action, covering the big stories, getting the inside scoop, even if it hurts! Well, something like that. With the growth of cinemas in SL it makes since, and it could be available for download as well. Promote the site and score some viewers with machinemation fans. "First to bring you the FIC scandal that nearly destroyed the Universe!" 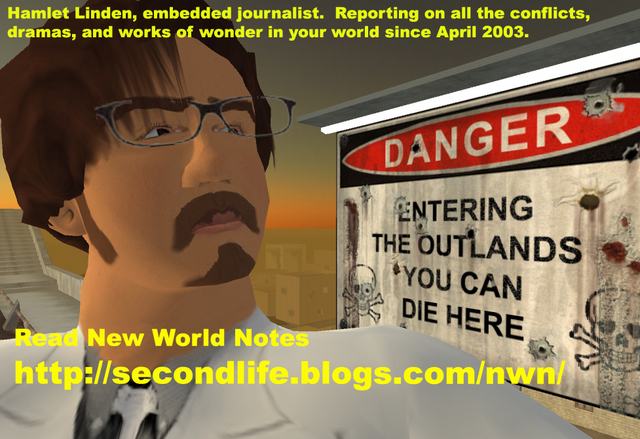 "New World Note's Hamlet Linden, Honest... Embedded... In-World reporting from the front lines." Hamlet, I suspect the Herald's readership is simply more vocal than yours. I get some pretty high traffic numbers at times, but not many comments. Compared to the other official Linden blogs, yours is the most-frequently updated and in my opinion the most interesting. It's certainly the best face for the general public, which is why I think Linden Lab is missing out by not incorporating a link to NWN through the SL interface. 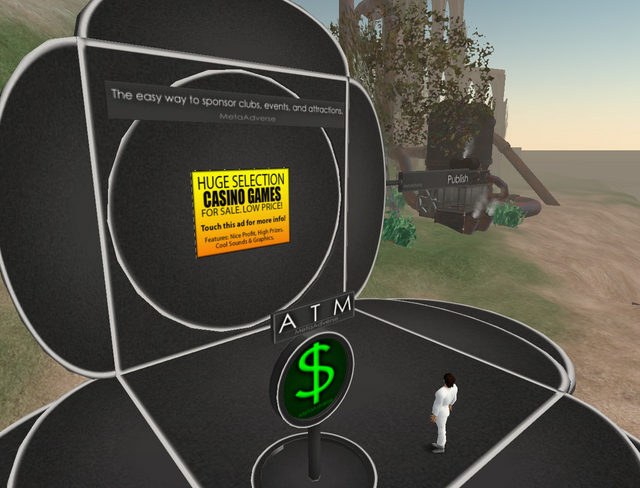 Once SL fully supports web page display inworld, I think NWN should have an official kiosk near the Welcome Area. > incorporating a link to NWN through the SL interface. Well, I appreciate that, though I'd be afraid that being embedded in the interface itself (along with the world) would probably dampen my reporting. I do think it's important for NWN to cover in-world controversies which illustrate larger societal themes as best I can, and that might get harder to do, if the blog is actually written into the code. It would however be nice to have NWN (and all the other blogs) displayed in-world, once HTML text is viewable. 2. Spend more time in-world meeting people, and while Welcome Area is definitely a good idea, wandering around is good, too. And also, from my personal experience running a college paper, have you considered a "Roving Reporter" type short each week? You pick an easy question and ask half a dozen residents, and take a closeup picture. Questions are easy ones, like, "What's your favorite new feature in the last 6 months?" or "Where do you like to hang out in SL on Friday nights?" or "What skill would you like to learn next?" or "Who is your favorite Linden?"